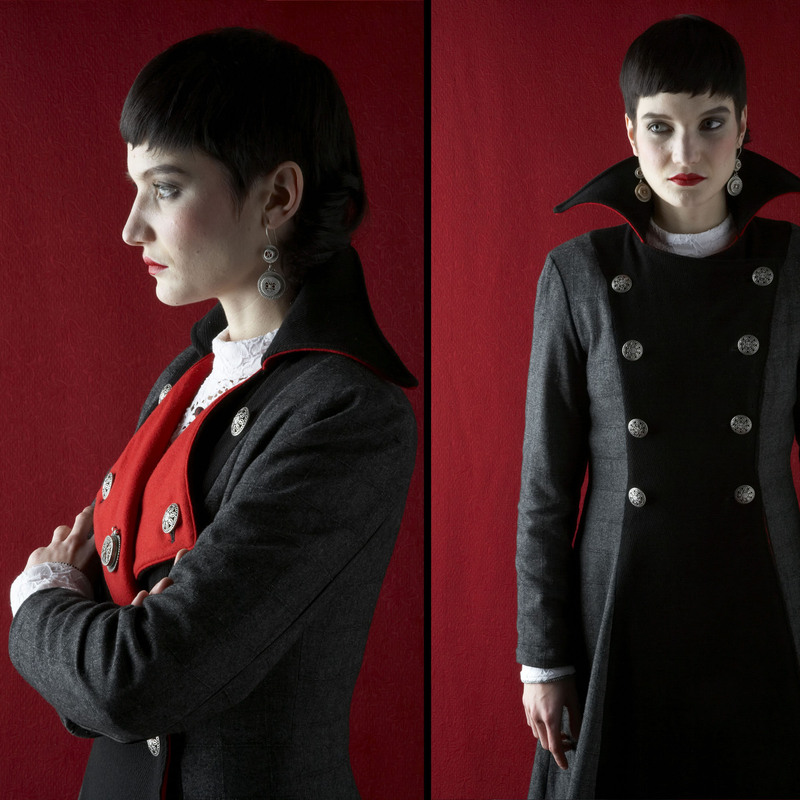 Daiana is wearing the very striking Russian Revolutionary Coat. With all the filigree metal buttons done up, the grey and black tones of the jacket are highlighted. Unbuttoned, the red wool jacket lapels are revealed to create a completely different feel. With the lapels opened and buttoned down, the red woolblend underside is revealed. This jacket is for the revolutionary in all of us!